An English translation of the book was published by Verso Books in October 2009. The book has also been translated into German, Italian, Spanish, Portuguese, Arabic, and Russian, and as of late 2009 further translations were underway. The Invention of the Jewish People has now been translated into more languages than any other Israeli history book. Historian Michael Berkowitz criticized it as “a far cry from a ‘real’ work of scholarship” and “plodding and dull.” Geneticist Harry Ostrer presented findings that were generally viewed as disproving Sand’s notion that the Jewish people is an ex-post invention. 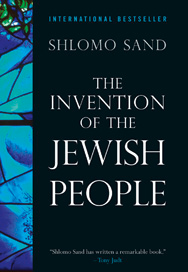 Sand argues that it is likely that the ancestry of most contemporary Jews stems mainly from outside the Land of Israel and that a “nation-race” of Jews with a common origin never existed, and that just as most Christians and Muslims are the progeny of converted people, not of the first Christians and Muslims, Jews are also descended from converts. According to Sand, Judaism was originally, like its two cousins, a proselytising religion, and mass conversions to Judaism occurred among the Khazars in the Caucasus, Berber tribes in North Africa, and in the Himyarite Kingdom of the Arabian Peninsula. According to Sand, the original Jews living in Israel, contrary to popular belief, were not exiled by the Romans following the Bar Kokhba revolt. The Romans permitted most Jews to remain in the country. Rather, the story of the exile was a myth promoted by early Christians to recruit Jews to the new faith. They portrayed that event as a divine punishment imposed on the Jews for having rejected the Christian gospel. Sand writes that “Christians wanted later generations of Jews to believe that their ancestors had been exiled as a punishment from God.” Following the Arab conquest of Palestine in the 7th century, many local Jews converted to Islam and were assimilated among the Arab conquerors. Sand concludes that these converts are the ancestors of the contemporary Palestinians.